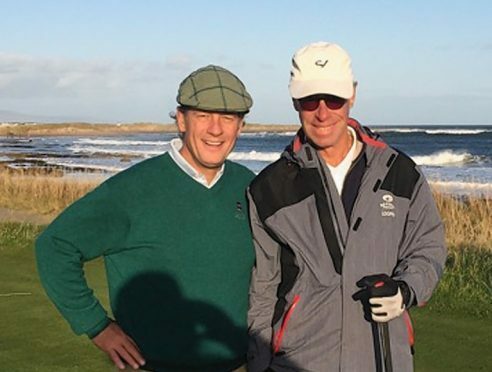 US businessman Todd Warnock and world renowned golf course developer Mike Keiser are spearheading the proposals for the 18-hole course in East Sutherland, just north of Embo. Mr Warnock welcomed a recent objection from the Scottish Environment Protection Agency (Sepa) to the layout of their proposals as a “thoughtful and constructive response,” and that they are in dialogue with the regulator and are gathering extra information as requested. But an alliance of the Scottish Wildlife Trust, Buglife Scotland, Butterfly Conservation Scotland, the Marine Conservation Society, Plantlife and RSPB Scotland are campaigning to stop the proposals. However, a further statement from the developers said: “We note the rhetoric of RSPB, Scottish Wildlife Trust and their cadre of supporters remains without basis of knowledge or fact. Their assertions in their desperate press release, for example of ‘removal of hundreds of litres of groundwater per day,’ was raised by neither Sepa or Scottish Natural Heritage and are simply more scare tactics. “Further, their statement suggesting we will ‘steadily impoverish the area’s biodiversity’ is both curious and fictional. We have provided a clear and compelling case for improved biodiversity at Coul Links and combined with the project’s clear economic benefits are the very basis of the overwhelming local support for the project. “While this continued rhetoric may be successful for national fund raising purposes, we yet again invite RSPB, Scottish Wildlife Trust, Buglife and Plantlife to leave their central belt offices and travel north to East Sutherland and meet us on site. We are unaware of them having ever visited to date. Bruce Wilson, senior policy officer, Scottish Wildlife Trust said that their concerns are based solely on the impact they believe the development will have on an area home to internationally rare habitats and wildlife, from close scrutiny of the plans. Sepa’s recent objection is based on a lack of information from the developers on protection of local wetlands, watercourses and groundwater which, if provided, would be reviewed.